Many companies want to handle the entire process of the production and delivery of their products. It’s a great way to save money and it’s easier to keep an eye on what’s happening with their products as they are manufactured and then proceed to travel from maker to consumer. If your company has a warehouse, then we know that you are in need of a reliable scale to help business run smoothly. When looking for the best scale for your warehouse, it is important to consider quality, precision and environment. Arlyn Scales offers the best there is to offer in electronic scales and wants to help you find the perfect scale for your warehouse. We’ve been in this industry for a long time and have our hands on the latest technology, so we can ensure our customers accurate results and products that will last for years to come. The environment of a warehouse can be hectic and is always a place of potential danger. It’s important to have a scale that is durable and will last awhile, and also one that can withstand harsh environments and not break easily. The materials used to make the scale in your warehouse should be high quality so you know that the scale is the best that it can be. When shipping merchandise, warehouses depend on their scales to yield accurate measurements. It is important that your scale is equipped with the best available technology, can withhold the weight of the object you need measured and can operate safely within the environment in which it is being used. Arlyn Scales’ platform and floor scales are extremely durable, easy to use and have high capacities perfect for warehouse use. We offer scales in steel, stainless steel and aluminum so you can purchase the scale that is perfect for your warehouse environment and one that will fulfill your warehouse’s measurement needs. We also supply scales manufactured to withstand corrosive or explosive environments. Technology and manufacturing improve every day. Arlyn Scales offers strain gage scale options as well as scales that utilize our own patented technology: Surface Acoustic Wave, or SAW. Strain gage scales are the most commonly used weighing device in the world and are useful for weighing small objects; however, Surface Acoustic Wave technology is revolutionary. SAW technology does not use a strain gage and does not depend on the strain or stress of a spring in order to record measurements. Instead, measurements are gathered in a digital format. Moreover, SAW scales are 20 times more accurate than strain gage scales. Arlyn Scales offers SAW technology on our bench, platform and counting scales in capacities as low as 5 pounds, up to 500 pounds. We are currently working to expand the SAW technology to our other industrial scale models, including: cylinder, drum and floor scales. SAW scales are perfect for any warehouse in which precision is important. Every scale is the same, right? They might do the same thing in the end, but, no, they are definitely not the same. Each scale is different in the amount that it is able to weigh, how it calculates measurements and how it is built. There is a maximum capacity for every scale. For industrial scales, the maximum capacity can be hundreds or thousands of pounds. Whatever your needs are for a scale, you should be sure that the scales maximum capacity is higher than what you plan on weighing. Otherwise, the scale can break easier and will not be usable until repaired. Precision is a matter of life or death in certain facilities—say a science laboratory? But it is always a good thing to be as precise as can be. You want your scale to be accurate and have a small margin of error, because if your scale is producing inaccurate measurements then there could be problems with shipping and pricing in the future. Arlyn Scales offers automation systems for all of the scales that we make and sell. If you purchase our setpoint controller, you will have more control over dispensing, filling and batching. There is no human interaction needed and you can be sure that this tool will help your warehouse make the most out of each product and material being measured. Can Your Scale Survive its Environment? There is a multitude of shapes, sizes, and types of scales. Furthermore, there are a number of warehouse environments in which a scale must be able to withstand. Whatever you’re weighing—liquids, hazardous materials or any object that requires a unique scale—you must consider the environment of the warehouse and if the scale is suitable for the environment. If you are lifting heavy equipment, know that there are scales with ramps and guides available to help weigh heavy equipment—such as our floor scales. Arlyn Scales offers strain gage scales, which are perfect for weighing smaller items, like boxes. 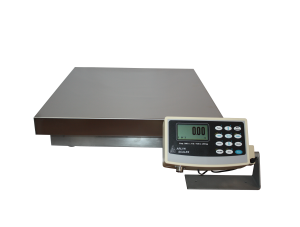 We sell more durable scales prepared to weigh heavier loads, including floor and platform scales. And we sell intrinsically safe scales, which are manufactured to withstand harsh environments that have hazardous chemicals or flammable fumes, or high quantities of dust present. If there are flammable or explosive materials in your warehouse, then definitely look into our intrinsically safe scales. We offer intrinsically safe floor, bench, platform and cylinder scales in a number of styles to meet every need of our customers. As a leader in the weighing industry, Arlyn Scales has all of the best options in scales for your warehouse, and we have been manufacturing electronic scales for over thirty years. We are confident that our scales will bring you precise results and help our customers get the most for their money. If you are interested in purchasing a scale, give us a call at 800-645-4301 or visit our website and fill our online contact form. We look forward to working with you to find the best scale for your warehouse’s needs.